Hello and welcome to our monthly round-up for July. What another crazy month we have had! It's been another one that's been full of exciting adventures and so let's see what we go up to. If you are a regular reader, you'll know that June soon became know as 'my birthday month' and now we're in July and it's turns out that this month is also known as 'my birthday month'. I can't help but laugh when people ask her age and she responds with 'I'm going to be three next month' she's convinced it's her birthday every month! Bless her. That aside, our family hasn't had the best of time lately and so we were pretty busy this month trying to get organised for a family getaway. Last year, we didn't manage to get away so this year it was something that both my husband and I were going to make sure we did. But being an English Rose, also known as a person who can't be in the sun for too long before coming out in a rash and tends to burn to a full on lobster red - going abroad wasn't an option. We decided to invite my parents and explore up north. Ever since I can remember my family have also taken holidays in the North Yorkshire Dales, honestly there is so much to do and so much to see. It was hard trying to cram all our adventures into one week, but we somehow managed to create some amazing memories. But before we could explore the adventure we had to make the long five hour drive up North, with a three year old I am sure we would have lots of fun. But surprisingly, she did fantastic with only a stop for some lunch. We did make sure that we were prepared for our journey and we made it to the cottage before dark so we had plenty of time to explore. I have been feeling super grateful for my blog this month. Not everyone gets the chance to do what we do and I am certainly feeling grateful for my little ole blog. I am beginning to get in more and more opportunities to work with some amazing companies and a sponsored post or two. It's been full on but it's been worth all the late night spontaneous blog post ideas, do you ever find they come to you at the most inconvenient times! Haha. 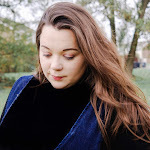 For me, the best part on work front this month was being a blogger of the day over on Mumsnet again! I was so proud of that blog post and it's still a popular one. It was quite the achievement and my stats went through the roof that day, and if I am honest my stats have been increasing steadily. Please feel free to ready my Mumsnet worthy post, here. It's quite a personal one, so please be kind. I'd love to know what you think. In other work news, it's been crazy. I have been bashing out lots of posts, 23 this month!!! Woo Hoo! Just shy of the 25 last month. I am actually so proud of all the posts I have managed to get scheduled in for the month. I have been able to work with some of the most fantastic brands including; THE DIET PLATE®, Baby Nails, SEALIFE and Mama + Belle just to name a few. In addition to this I have really been trying to up my game in the whole blog photography and have been asked by several brand I have worked with this month if they could use my photographs for their own social media platforms, one even asked to use it on their website! Very happy with that! 5 comments on "MONTHLY ROUND-UP | July"
Sounds like your blog is going well, good work! I always get blog post ideas at the most inconvenient times too, I've started to keep a pages document on my MacBook now, where I jot them all down, the only downside is it is around 250 ideas now. Whoops! I think I may have to start doing a round up, this is such a lovely idea and it'll be nice to look back on too. It sounds like you've had a good month! I've got a pad next to my bed now for blog ideas when I think of them... generally at 3am! How do you stay motivated to write blogs? It's impressive that you've written so manay in just one month! Well done on getting blog of the day. It's great to see hard work paying off with increased stats and blog success.